Restech Consultants (Esso Australia - Sale, Victoria) - Bass Strait offshore oil platform process equipment and instrumentation detailing interfaced with structural requirements for maintenance and redesign. Incorporated P&ID isometrics, AutoCAD layering, blocks and attributes to Esso standards and offshore platform site visits for as-built details! UK Engineering Services (Hendon, London) - Elaborate Autodesk Plant 3D piping and process interfacing for the Irish Magners/Bulmers cider factory in Clonmel, County Tipperary. Simon Stainless (Damian Johnston) - High specification stainless steel vat detailing, predominantly for the wine industry, including various volumes and design styles - leg mounting or forklift apertures, horizontal and/or vertical manholes, lifting lugs and instrumentation variations. AMEC - Beverley uranium processing plant greenfield design including piping and equipment interfacing, structural detailing and logistics management. DOM (Distribution and Operations Management, Richard Pagliaro) - Warehousing, conveyoring and racking storage systems detailing and operational design processes. Coopers Brewery - Factory layouts and proposals including equipment, structure and piping interaction. 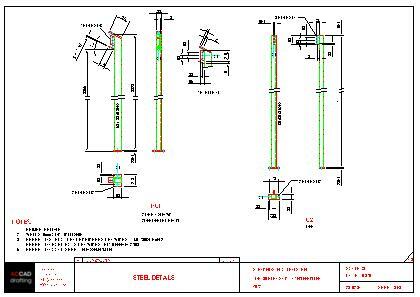 Commercial Minerals and HiTalc (Malcolm Flavel) - Talc processing plant AutoCAD 3D design proposals, project management of equipment installation and warehousing and operations logistics design. SKM (now Jacobs Group) - various processing plants, equipment design and detailing. Arup Group (Fitzrovia, London) - The ultimate in professionalism and excitement, from high-rise SMP/MEP building services in central London (with elaborate x-ref management) and offshore shipping wharves to an international design competition in Monaco. The Monte Carlo island development proposal involved extending the traditional F1 track and incorporated detailed undersea pylons, multi-level car parks and luxury apartments. All associated services were included, such as drainage, electrical utilities and water supply with pumping stations and incorporated into road and bridge design. Caltex Oil (John Adams, Peter Broadbridge) - Extensive service station layouts and elevations required for council planning and building approval, whether new sites or existing building upgrades. Retail design layouts for merchandising, signage and canopy elevations for aspect proposals, pipe, pump and tank details, HVAC & R, earthmoving and site regeneration and landscaping details, all to Caltex AutoCAD layering and template standards. Coles Supermarkets - MEP building services proposals and details including retail merchandising layouts for a major branch expansion. This project included extensive lighting and power electrical schematics and air conditioning layouts and details. coombesbarei Constructions - Blackwood High School pre-cast concrete panel design and detailing including reinforcing and attachment systems. 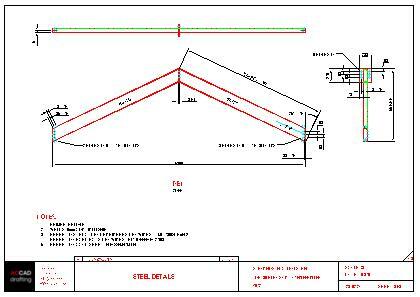 Strangio Stuctural Steel - 3D steelwork assembly model and 2D manufacturing details. BHP - Hot rolled steel products division, rolling machinery redesign including complex and detailed dimensioning. Beverley Industries (Paul Prince) - Cast products detailing and interfacing defined by geometric tolerancing and associated machinery design. 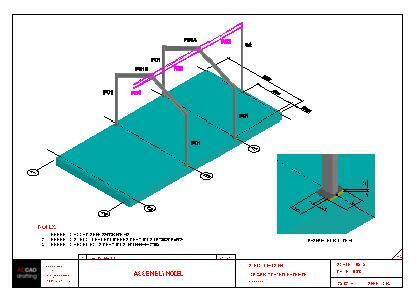 Pilkington Glass - Automotive sheet glass manufacturing machinery design proposals and details. Hypac (now Kempgroup, Paul Kaminsky) - Specialised marine pumps, capstans and power unit design and detailing. Mitsubishi Motors - Production line machinery interfacing and redesign for increased operational efficiency. Hawker de Havilland, ADI and Easams - Defence specification (Def (Aust) 5085) detailing of parts for weapons systems using IDEAS software and AutoCAD. Cleared to SECRET level. Sonnex - 3D wind turbine installation hub cover redesign. Laserlife Clinic (Marylebone, London) - Retail layouts and proposals including laser equipment and furniture for marketing and licensing. Project management of shop fit-out and several upgrades. Art Gallery of South Australia (MA Curatorial project) - Art exhibition research, 2D AutoCAD design, physical model creation and 3DS Max rendering. University of Adelaide Collections (MA internship, Supervisor - Mirna Heruc) - Olympic Torch research and exhibition design and detailing. John Chappell Engineers - Yorke Peninsula housing developments including earthmoving calculations, extensive levels design, roads, water and electrical services details. Marina and harbour structural layouts and detailing of rock breakwaters. Devonport, Tasmania car ferry on/off ramp design and detailing. coffey (now with Tetra Tech) - Geotechnical layouts of various sites including earth formation details for mining reports for potential development. Rod Roach Architects - Detailing of various commercial premises, plans and elevations for upgrades. B&R Enclosures - Detailing of electrical products including cabinets, racks, switchboards and accessories. Factory electrical equipment and conduit installation details. Inspiration Technology (Ted Bullen) - Electrical products detailing. Wilks Communications - Schematic layouts for comms systems. Instrotech - Port Augusta power station upgrade including schematic and conduit installation details. Detroit Engine and Turbine, Allied Engineering, Arnott's, Boral, CMPS&F (now GHD Group), Aztec, ROH, Nortel, Access Datacom, Leigh Mardon, Glenrob, ABB, Adelaide Brighton Cement, Century Drilling, Dexon/Holdens, Liebherr, Kilic Engineering, Multimech, Hardy Spicer, Bianco Construction, Adelaide Conveyor Co, Cox Constructions, Dawn Patrol Coffee.